These images were taken at the 39th Annual Southeast Old Threshers Reunion in Denton, North Carolina, on July 3, 2010, by a maintenance engineer who did not want credit for himself or his company since he borrowed the $32,000 Land infrared camera from work. SMRP's 18th Annual Conference is one of the world's largest gatherings of maintenance and reliability professionals. With over 50 sessions, 13 workshops and and three plant tours, the conference is designed to empower performance-driven professionals with the tools and solutions they need to advance their organizations and their careers. Looking for an interesting and informative webcast to attend? Then register for "Lighting up your plant: The ultimate investment in efficiency and savings." Despite the uncertainty regarding the global economy and the maturing of the computerized maintenance management system/enterprise asset management (CMMS/EAM) software industry, companies from every sector continue to upgrade, replace, or buy new asset management software applications. 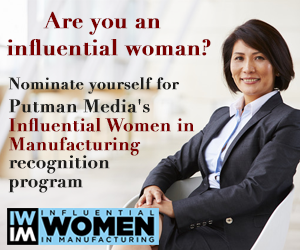 Do you want to be recognized for your industrial achievements? Do you have an interesting case study worthy of the pages of Plant Services magazine? Then enter our Best Practices Awards. This exchange took place between Chris Beals, president of Air Systems Management, Inc. and author of "Storage volume for air compressors," and Ron Marshall, CET for Manitoba Hydro and a loyal fan of Plant Services magazine. To read the article in question, visit Storage volume for air compressors. This week marked the first ever Manufacturing Week in the UK. Part of EEF's We Heart Manufacturing campaign, this historic event involved a series of regional and national events geared toward manufacturers, politicians, the media and anyone with a love for the industrial arts.